Company is working with California State University, Los Angeles engineering students in Professional Practice Program. (Diamond Bar, Calif.), June 2017 – QTC Management, a Leidos company (NYSE: LDOS), is fostering science, technology, engineering and math (STEM) education at California State University, Los Angeles (CSULA) through its support of the school’s Professional Practice Program and Senior Design Project. 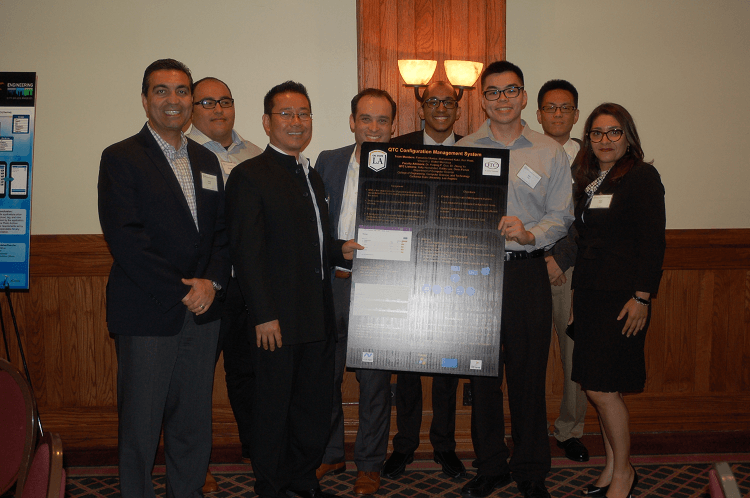 This is the fourth year, QTC, a wholly-owned subsidiary of Leidos, has been participating in these programs at Cal State LA’s College of Engineering, Computer Science, and Technology (ECST). The Senior Design Project offers a capstone experience to students that enables them to apply their theoretical knowledge to real world industry problems. In this project, QTC provided guidance and project scope to build a Configuration Management Database (CMDB) for the organization’s internal use. The CMDB is able to manage the servers’ hardware information, the web service running on the servers and the dependence information between servers. Students worked throughout the year with QTC to build this system, which is in production for release.